"This fully featured version will be available free only for a limited time! 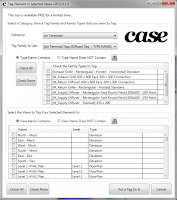 "Have you ever wanted to be able to tag specific family types on specific views in your model? This tool will do just that... if the target element is already tagged in the view, it will simply skip it and move onto the next element. All element types are supported including areas, spaces, and rooms." 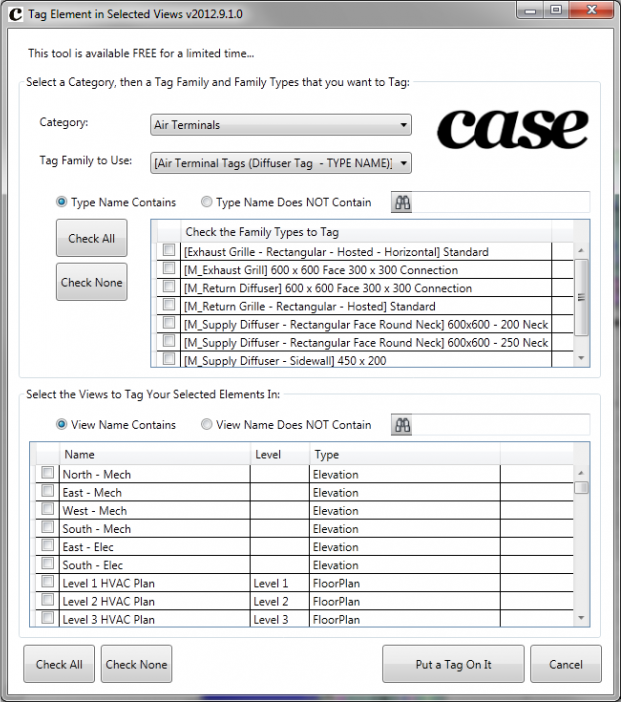 This add-in may be downloaded from the Case Apps website.